In this blog post, I am going to show you some awesome 420 stoney party decorations and a bunch of fun ideas of things to do at your 4/20 party with your buds. Let's face it.. you're going to need munchies.. lots and lots of munchies. Why not have a "Potluck" with friends and have each person bring a snack or appetizer to share with everyone else. If you're going to have edibles available at your 4/20 party then you're going to want to make sure that they stand out from the regular food.. You don't want anyone binging on edibles and thinking they are "normal" food. Want More Stoney Food Decoration Ideas? Alright, the house is now looking stoney, food is taken care of so its time for some dope party ideas. Set up a little smoke station, a place where your buds can roll up, dab, or hit the bong. A party also isn't a party with out a Pinata! Also make sure there is some good lighting, you can set the photo booth up near a window or grab a couple lamps from around your house to help light it up. If you and your friends are the creative types then consider doing some arts and crafts! If you want to do something arty then grab my stoner coloring book! 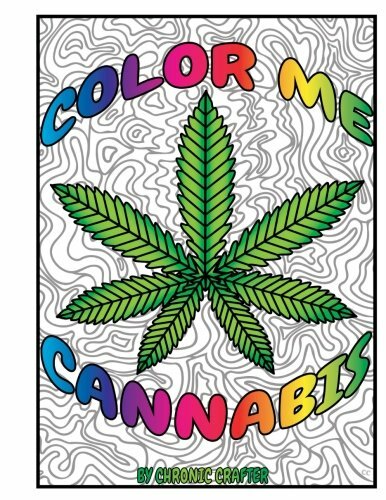 You can download a digital copy of my coloring book (Color Me Cannabis) in my Etsy store and then you and your buds will have 40 fun pages to color and draw on together. You can use pencil crayons, markers, crayons or gels pens to color the pages. Want something a little less active and a bit more chill? Then just watch a classic stoner movie (or two) with your buds. Okay I think that covers it.. well of course don't forget to go to a dispensary and pick up enough bud, concentrates, edibles or whatever your little stoney heart desires. I hope I've helped you plan the perfect 4/20 Party for you and your stoner circle.